For over 30 years Steve has handled and served as lead trial attorney on a variety of complex business litigation matters. He has successfully tried to verdict dozens of jury and non-jury commercial cases in federal and state courts throughout the country, as well as appeals, arbitrations and mediations. Commercial Loans. Steve represents secured lenders in the enforcement of commercial loan agreements in various contexts such as work-outs, foreclosures, receiverships, lender liability and prepayment premiums. Insurance. Steve represents life insurance companies in litigation involving sales practices, disputes with agents, and policies including claim disputes, rescissions and interpleaders. Employment. Steve represents employers in single-plaintiff and class action litigation involving claims alleging discrimination, retaliation, wrongful discharge, sexual harassment and whistle-blower retaliation. Bankruptcy. Steve represents bankruptcy trustees in investigations and fraud and director and officer litigation. 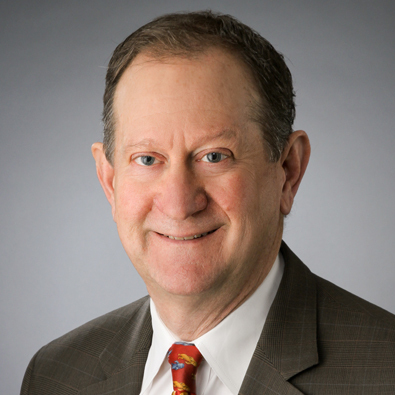 Steve also counsels company presidents, CFOs and other senior executives with respect to employment agreements, executive comp and separations, and serves as outside general counsel to a number of closely-held businesses. Obtained a $3.7 million judgment on behalf of a bankruptcy trustee against a bankrupt company’s president based on breach of fiduciary duty and fraud. Author, "Lawyers as Employees: Rights and Responsibilities," Illinois Institute of Continuing Education’s Employment Termination–2008 and 2013 Editions. Author, "Revisiting Till: Has a Consensus Emerged in chapter 11s?" ABI Journal (July/August 2008). Author, "Seventh Circuit Decision Enforcing Contractual Loan Prepayment Fee Reaffirms Sanctity of Contract in Illinois," American Bar Association Business Litigation Newsletter (Winter 2008). Litigation Victory on Behalf of Our Client, BNSF Railway Co.
On September 9, 2013, BNSF Railway Company (“BNSF”) won a significant victory before the United States District Court for the Northern District of Illinois in Mays v. BNSF Railway Co., Case No, 10 CV 153.